At SunWater we believe going solar should be headache and hassle-free. Solar panels and solar energy storage systems are at the heart of sustainable energy. Matching your system with the specific power requirement is part of what we do. Our NABCEP certified installers will size the solar panel array, and match the needs with an inverter that maximizes efficiency. SunWater provides homeowners with simple and affordable clean energy. We offer a cleaner and safer alternative to the status quo. Something we feel good about, and think you will too. 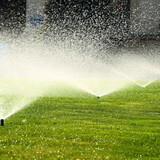 SunWater's installers have been in the drainage/irrigation business for more than a decade. No matter the application, all of our products are top-of-the-line. With that, performance is guaranteed. We work with Builders, HERS Raters, and Home Owners in North and South Carolina to improve the energy efficiency of homes. 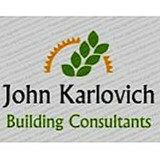 We also work with people like you to build your partial or completely off grid and utility free home! We call them "Wise Homes". Build Your Home today! 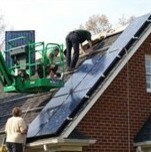 Are you interested in powering your Indian Trail home with solar energy? Whether you want to lower your electricity bill or help the environment (or both! ), hiring a North Carolina certified solar energy contractor is a smart first step to getting off the grid and getting into energy conservation. Solar energy professionals in Indian Trail, NC can evaluate your needs and design, install and maintain the best renewable energy system for your home. Along with off-grid solar, wind and hybrid energy systems that include batteries and backup generators, there are also grid-tied solar and wind operations. Grid-tied systems are attached to your Indian Trail, NC utility company so if you produce more energy than you use, your meter goes down and you build up energy credits. 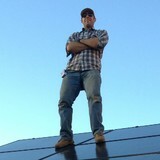 Find solar energy contractors in Indian Trail, NC on Houzz. Search the Professionals section for Indian Trail, NC solar energy contractors or browse Indian Trail, NC photos of completed installations and look for the solar energy contractor’s contact information.